The first trailer for Jonas Åkerlund’s latest project, Lords of Chaos, has been released, revealing the filmmaker’s take on the uprising of the Norwegian Black Metal scene. You can check out the trailer now for the horror-thriller film in the video below! In Lords of Chaos, a teenager’s quest to launch Norwegian Black Metal in Oslo in the 1980s results in a very violent outcome. Lords of Chaos tells the true story of True Norwegian Black Metal and its most notorious practitioners — a group of young men with a flair for publicity, church-burning, and murder: MAYHEM. The film was co-written by Dennis Magnusson (King of Devil’s Island) and Åkerlund (Polar). The project was based on the 1998 non-fiction book of the same name written by Michael Moynihan and Didrik Søderlind. 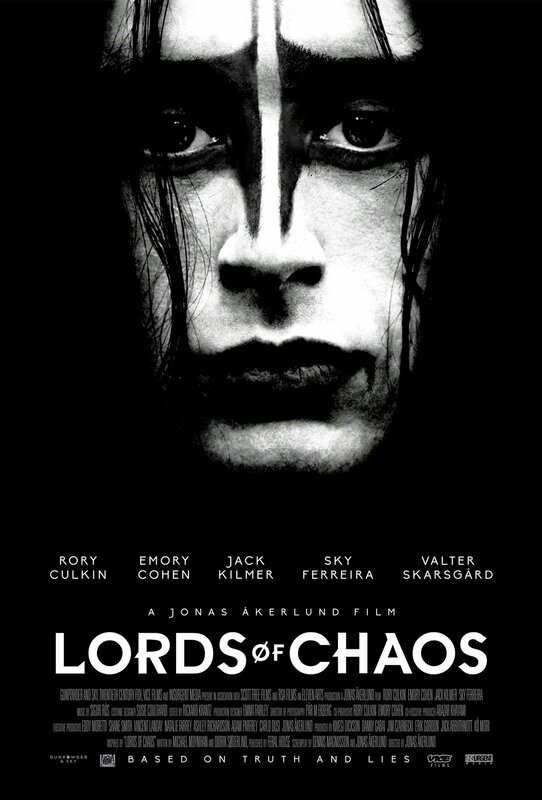 Lords of Chaos stars Rory Culkin (Castle Rock, Signs), Emory Cohen (Brooklyn, War Machine), Sky Ferreira (American Woman, Baby Driver), Jack Kilmer (The Nice Guys, The Stanford Prison Experiment), and Valter Skarsgård (Black Lake, Arn). Lords of Chaos is co-produced by Vice Studios, 20th Century Fox, Scott Free Productions and Insurgent Media. The film will open in theaters on February 8, 2019, and On Demand on February 22.